Written with the absolute beginner in mind, this engaging book teaches all the basics for learning to crochet with step-by-step instructions and photographs. Crocheting skills are learned by working on projects, beginning with something very easy and getting progressively more difficult as the reader works through the book. New skills are explored in depth as they are introduced. The introductory section covers all the basics of crochet-selecting yarn, hook types and sizes, other tools and accessories, crochet gauge, chaining, forming the basic stitches, reading patterns-making this the most comprehensive beginner’s book available. 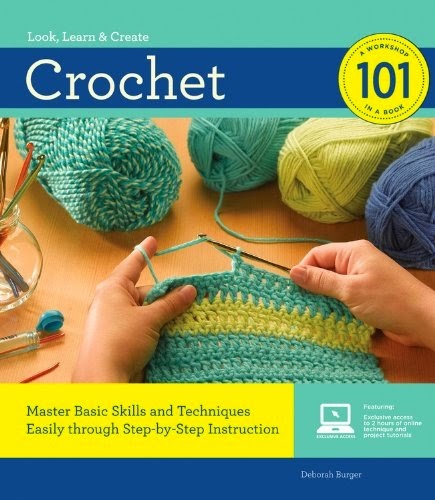 The online video tutorials created to supplement this book are an additional learning tool demonstrating the essential techniques used in crochet.